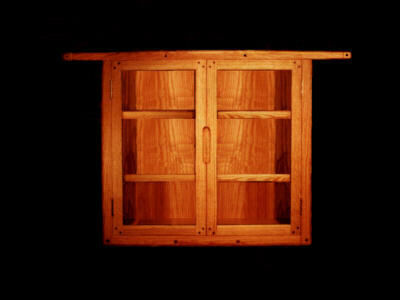 Click to see how this cabinet is made. 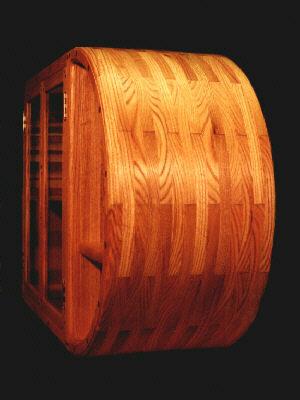 Click to the original version of this..
View of cabinet as seen from the curved end. 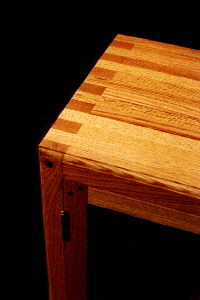 Casework joinery detail as seen from the top. 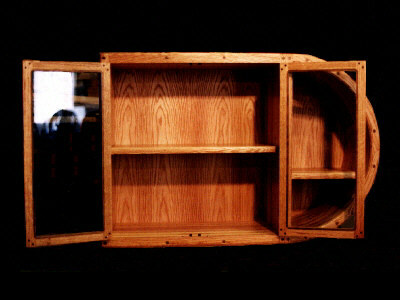 This cabinet is very special in many ways. It is a block laminated construction, which creates a pleasing look, especially on the curve where light falls on it in various ways. 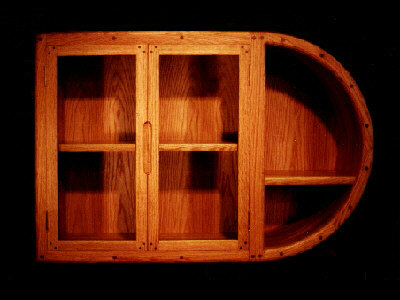 It'smade of red oak and walnut highlights and may be made with one or two doors. Other woods would work equally well. 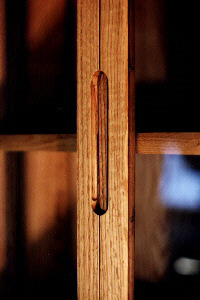 A version can also be made with two sides to hang over a bar. Phone or e-mail for more details. Click to see a design derived from this. Copyright ©2008 - 2012 Stan Pike Designs.